What are the top landmarks in Praiano? Explore the waterfront of Marina di Praia and enjoy other activities such as boating in Praiano. Wander the seaside or discover the mountain views in this romantic area. Pompeii Archaeological Park is a top museum in Pompei with a rich history. While you're in the area, wander around picturesque gardens. 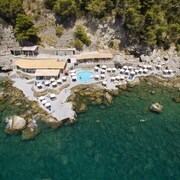 Nothing says holiday like spending a lazy day at Amalfi Beach, a popular beach in Amalfi. You can seek out the local tours while in the area. Explore the waterfront of Port of Sorrento and enjoy other activities such as boating in Sorrento. 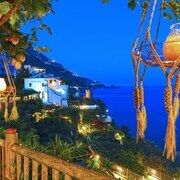 Stroll along the seaside in this romantic area or visit its top-notch restaurants. Ercolano Ruins is a top museum in Ercolano with a story of its own. Stroll along the marina or visit the archaeological sites in the area. Path of the Gods is a welcoming neighbourhood. Many visitors come to enjoy the natural beauty of the beaches. 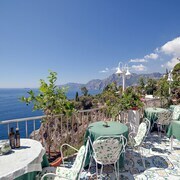 Very nice stay in Amalfi. Everything you need is taken cared of. Staff gives an extra hand to help. Very nice. Breakfast spread. Enough for everybody. Free parking is definitely a plus. Parking is tough around town, bus or shuttle is better. 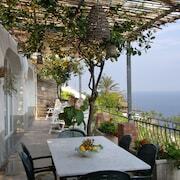 Place where you stay can make or break your trip and Margherita Hotel made our trip nicer. Recommended!! An absolutely stunning property that was recently renovated in 2018. 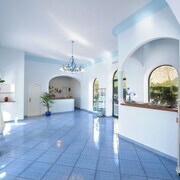 The attention to detail, views from the room and comfort of the facilities are top notch. The staff is warm and welcoming with breakfast served on the terrace daily. We really loved the location on a quiet street with restaurants and markets just a short walk away. We would definitely stay here again! 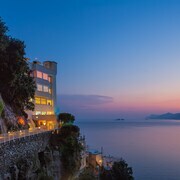 Explore Praiano with Expedia's Travel Guides to find the best flights, cars, holiday packages and more!